We can make your products stand out from the rest. 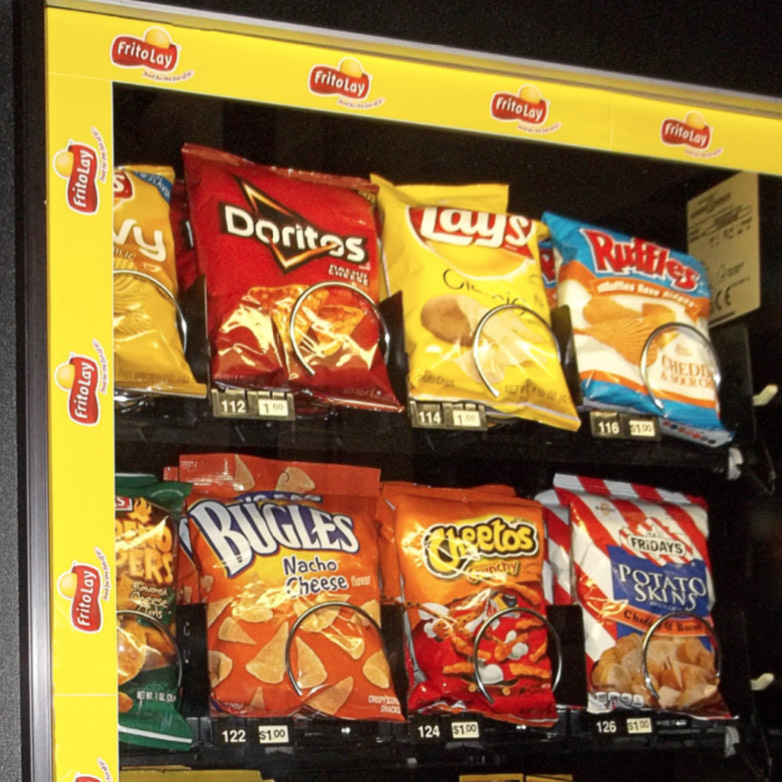 Using creative product design and exceptional graphics, the consumer will notice your brand at the point of sale. Draw attention to your product! Allows for 2 printing surfaces. Peels off easily and cleanly leaving no residue on your product. Our Basewrap will dress up your displays and hide what you don’t want to be seen. Creates a clean professional display with your logo. Fluted on the back to allow for easy wrap around! 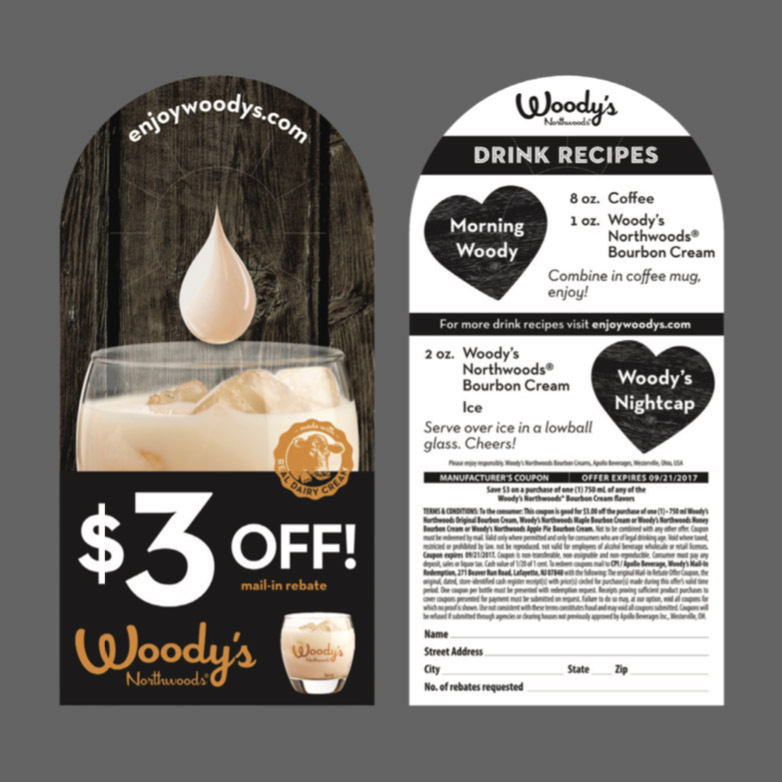 Extended content labels or folded booklet labels allow for a instant coupon and more information for the consumer. 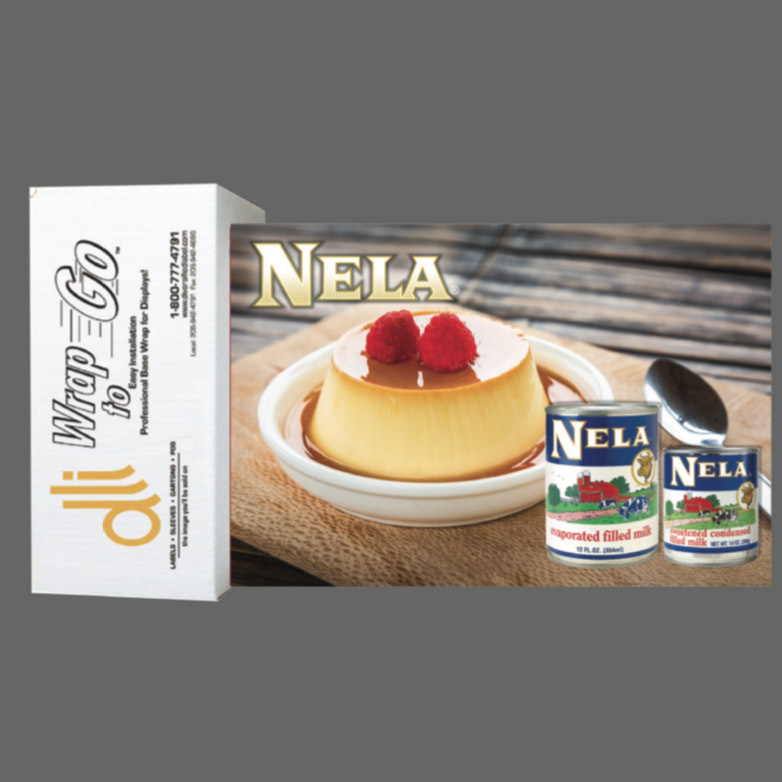 This can extend to nutritional or health information, promotional rules or recipes featuring your product. 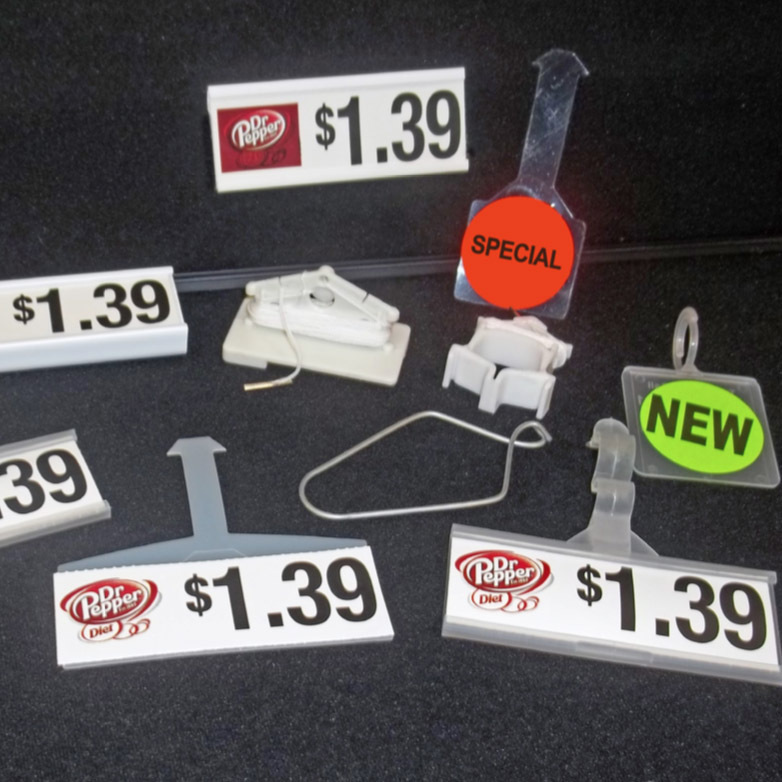 Danglers/Wobblers can be used to showcase a product or promotion while not blocking your original pricing setup. Each dangler has a top section that slides into a rail strip or clip, while the rest of the product hangs forward, drawing attention to your product on the shelf. 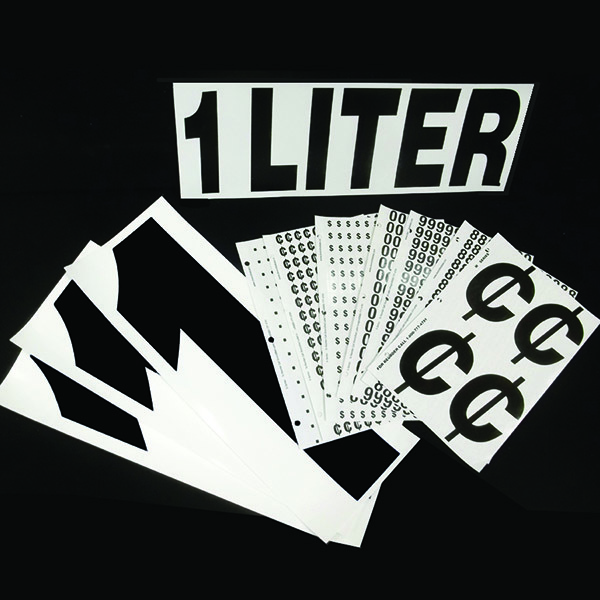 DLI produces custom neckers for all types of products and product shapes, such as wine bottles, beverages, laundry detergent and more. 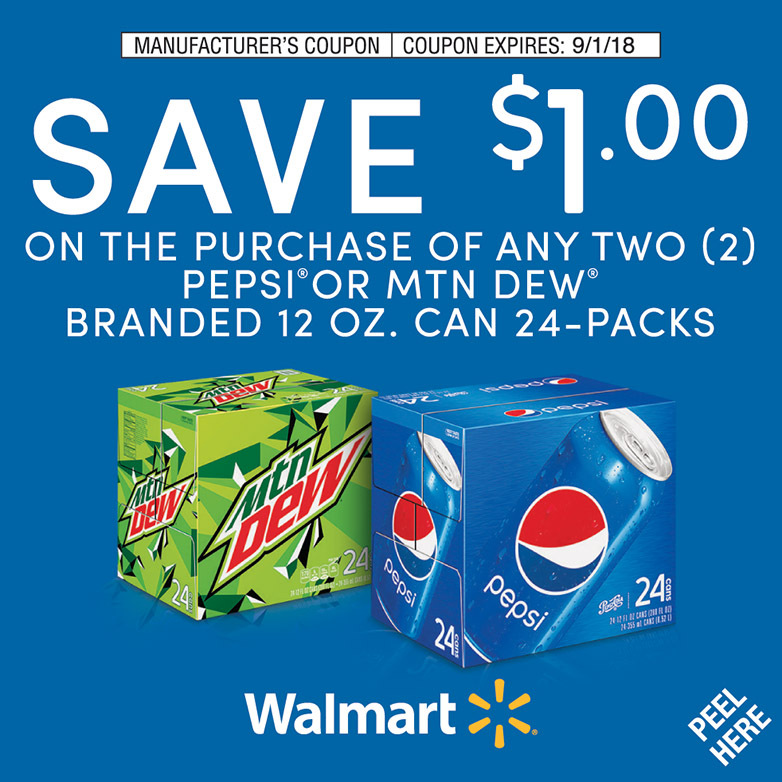 Neckers are commonly used to give buyers an instant redeemable coupon or to co-promote other product lines. 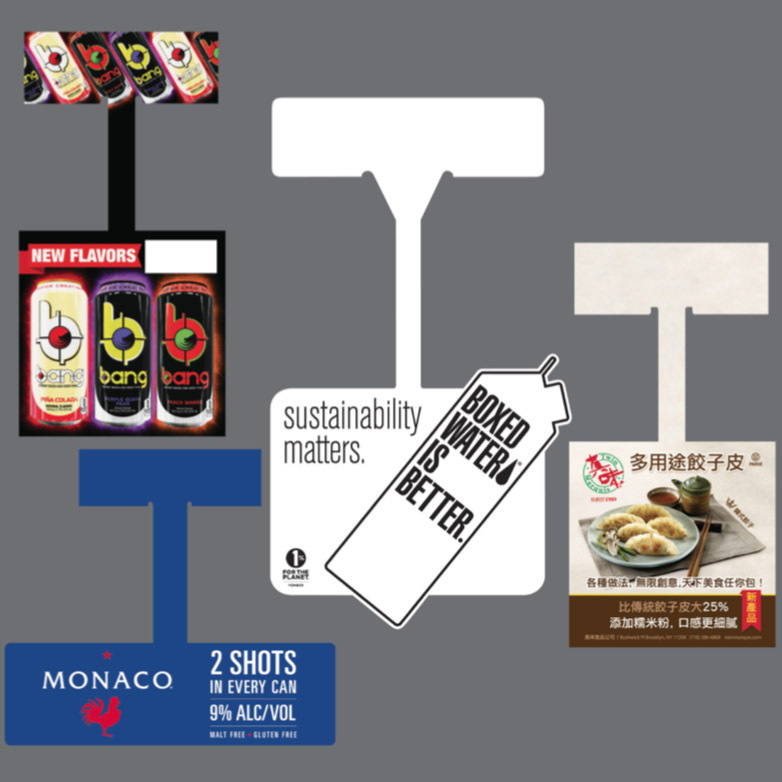 Cooler identification logos, also known as back tags, can be used to mark products in the front of the cooler or placed in the back to keep stock in the correct place. DLI’s long-lasting logos will not crack, peel or fade in the cooler, and they are specially coated to stand up to cleaning. Ask us about our custom digital options! 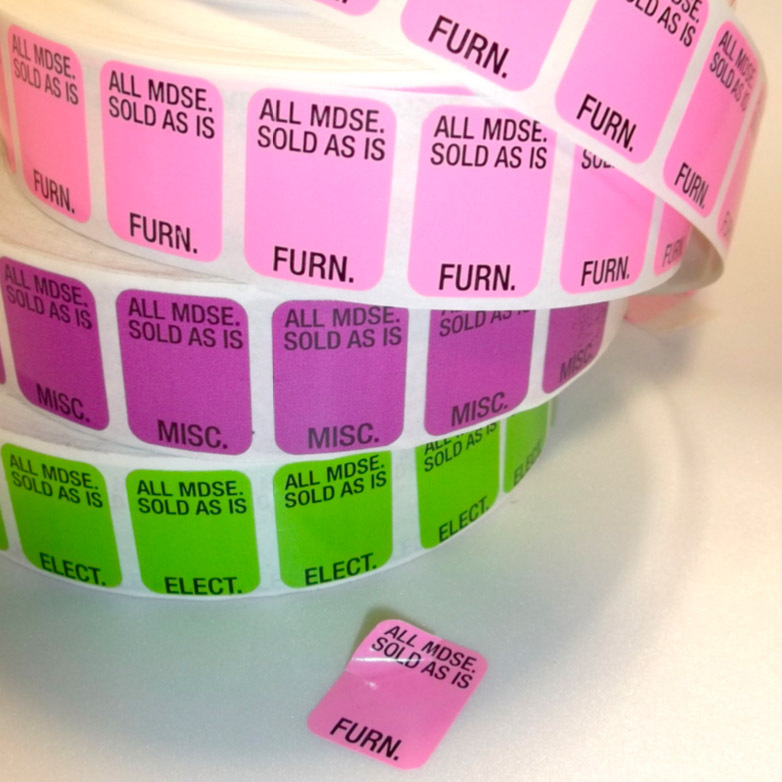 Channel tags, also known as shelf tags, help professionally brand and price your products. Channel tags are perforated for easy separation from the sheet, and they have a removable backing that reveals adhesive for easy application. Synthetic material with a easy to remove adhesive – will not leave residue on your cooler doors. 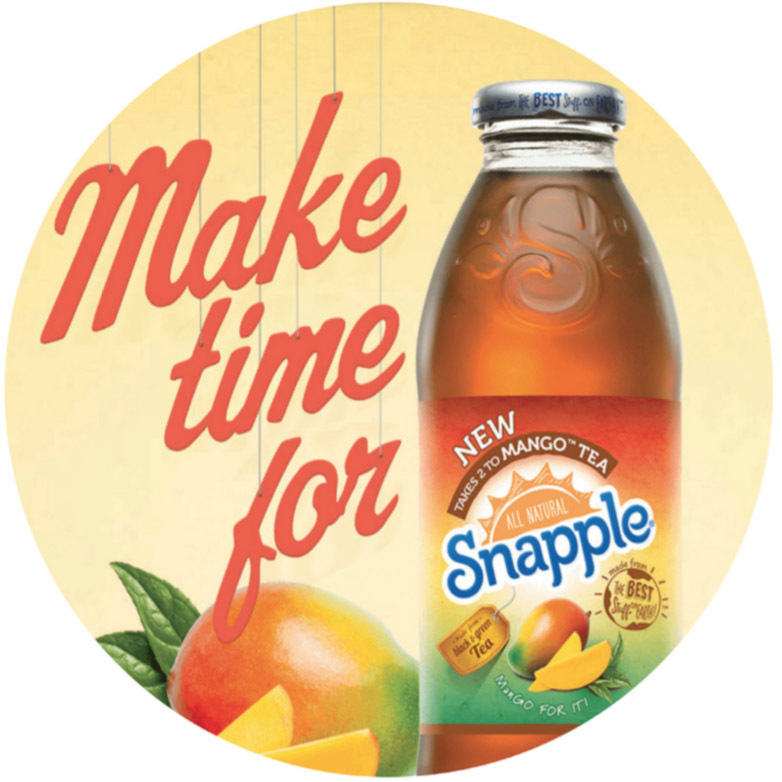 Draw attention to your product inside the cooler! We can do short and long run digitally printed clings. 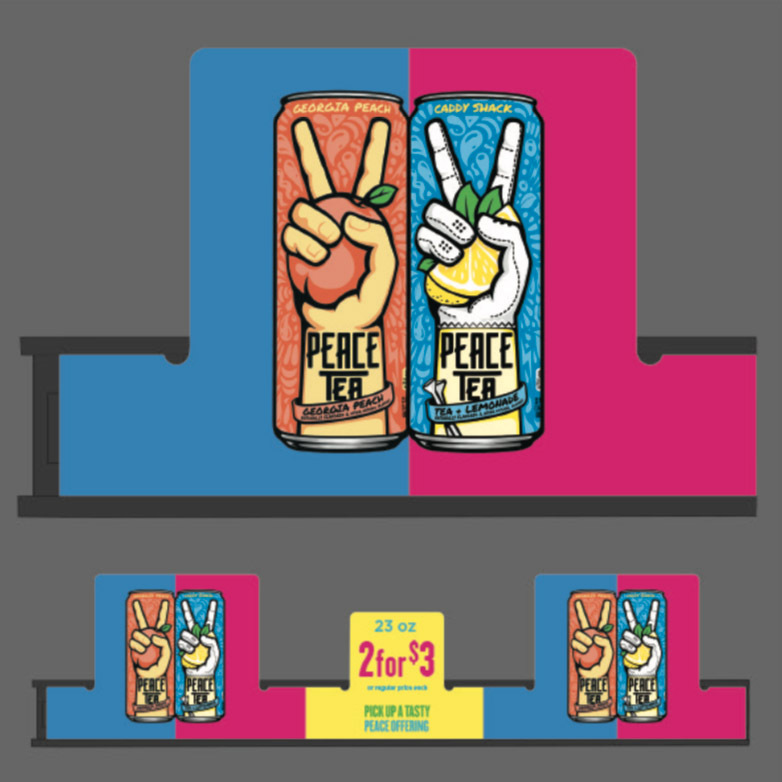 Ask us about our design capabilities and how we can help your product stand out! Use DLI’s plastic rail strips to hang over existing shelving or to add identification to your products. 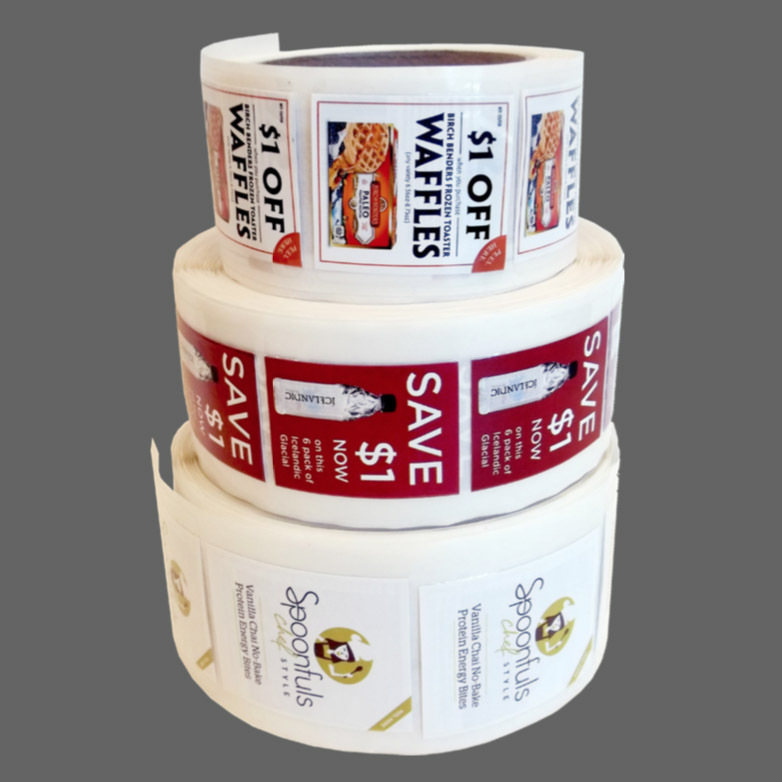 Use in combination with our Quick Strips™ or bubble strips to draw attention to your products. Rail strips are available in white, red and black, and in various styles, such as clip-over, stick-on and clear cover for full protection of your Quick Strips™. We have numbers and descriptives for all of your pricing needs. 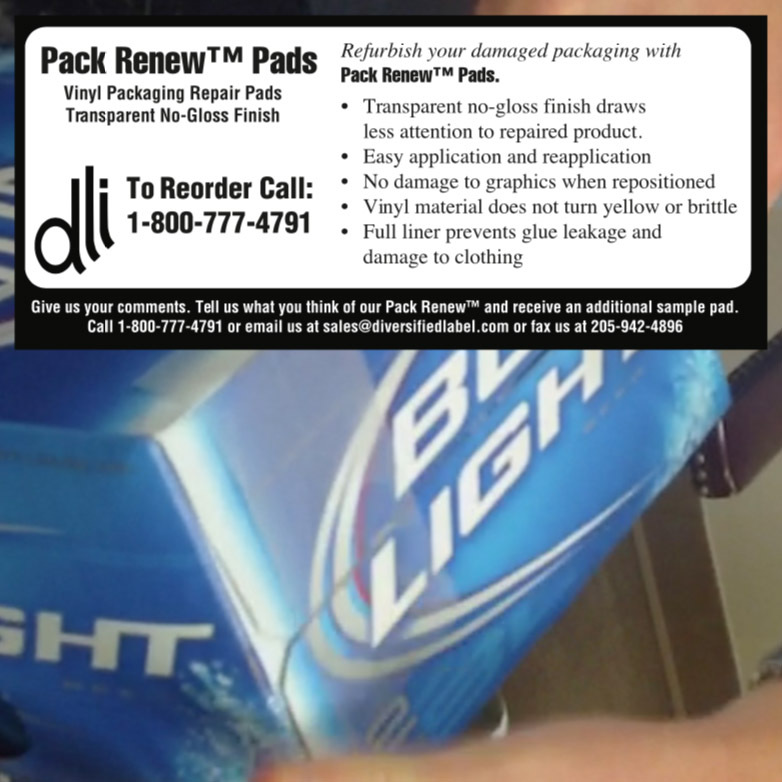 Pack ReNew™ is a transparent vinyl packaging repair tape that can be used as easily in the field or the warehouse. Unlike other tape repair pads or regular cellophane roll tapes, Pack ReNew™ will not turn brittle in coolers or discolor. Its matte finish lets you hide the repair while not causing further damage to the graphics. Draw attention to a product or an entire cooler door with our Border Tape. Easy to peel and stick, this product does not leave residue. Allow your products to stand above the rest! 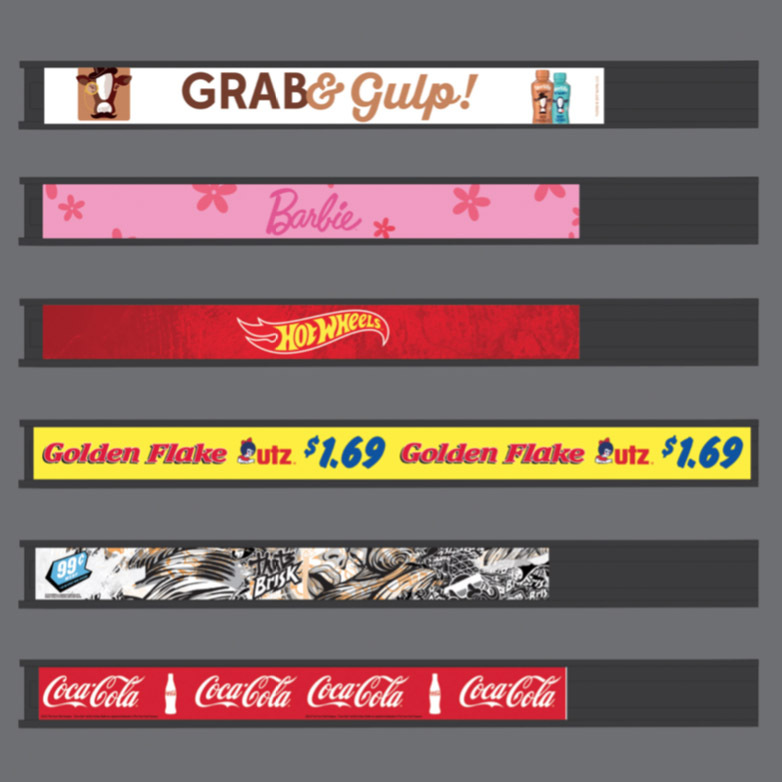 Use our Bubble Strips to increase your promotion area and create unique designs. 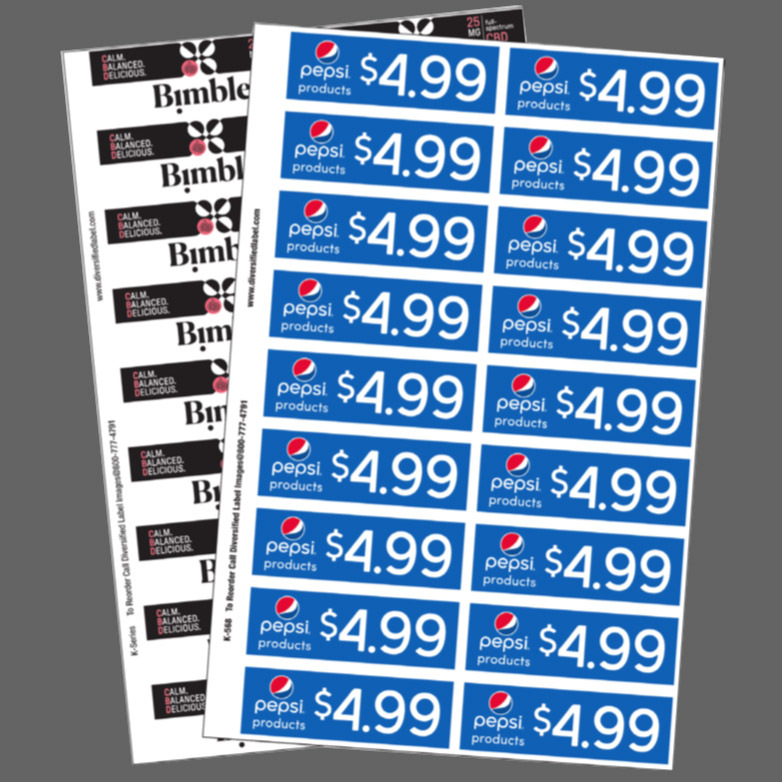 These general purpose adhesive labels stick securely, even to frozen foods. We are a licensed distributor for Monarch products. 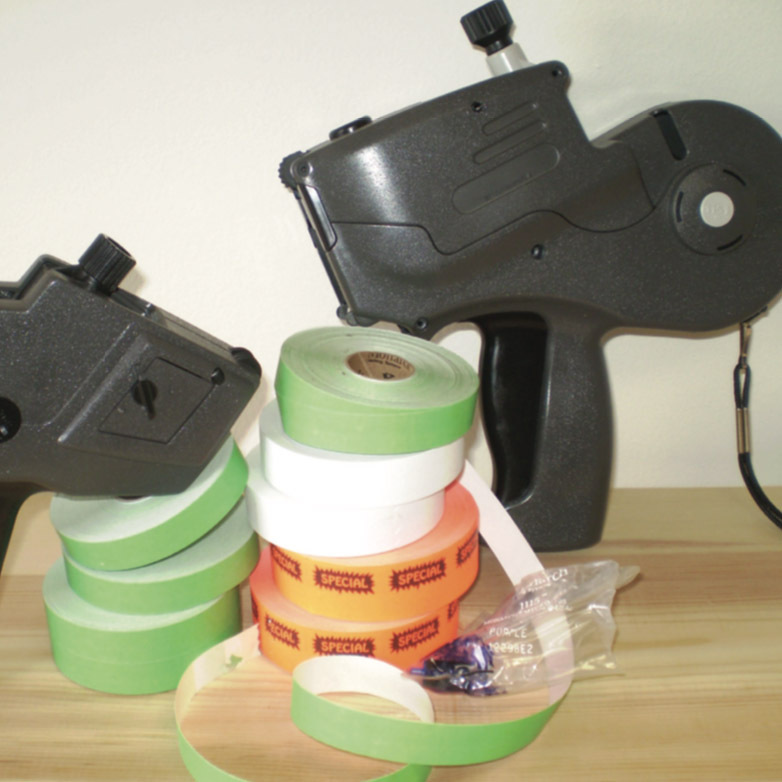 We have a variety of labelers and label options. Our dayglows are printed on fluorescent paper and are printed 1000 per roll. You can also choose from our wide availability of stock dayglows for an easy pricing system. Ask about our custom dayglow options! 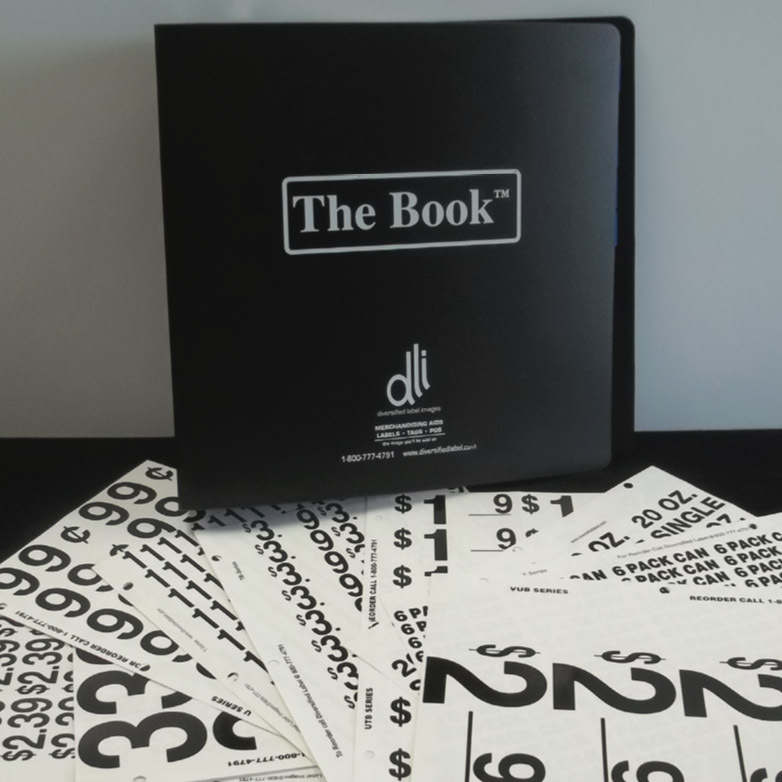 The Book contain numbers & descriptives to be used for indoor retail. Everything you need in one binder. Custom Books also available. Can be customized to include logos, channel tags, numbers and/or descriptives. Our hanging cooler clips are a great option for displaying promotions without covering up your product. 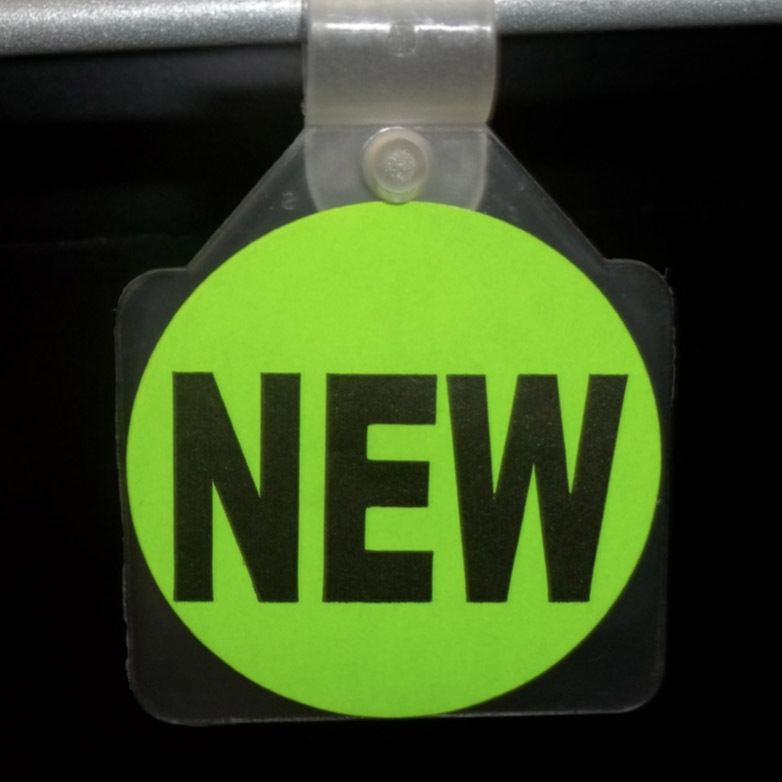 The circle clips can even be attached in front of or behind the channel tag, because the bottom is clear and will not deter from the identification and pricing of products. Tamper evident labels are a great way to protect your product. One label style leaves behind a residue “void” pattern when it is removed. Another option prevents your products from being relabeled without your permission. These self-destructing labels tear upon removal.